Paddy Power and Pistorious: Where to begin? 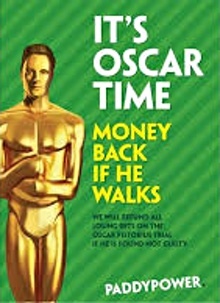 Last Sunday an advertisement by Paddy Power making light of the current trial of Oscar Pistorious was published in the Sunday Independent as part of an international branding campaign. Pistorious is on trial for the alleged murder of his partner Reeva Steenpkamp, who Pistorious claims he shot by mistake. Problem gambling was associated with increased odds of perpetuation of minor and severe dating violence, while pathological gambling was associated with increased odds of perpetuation of minor and severe dating violence, severe marital violence and severe child abuse. It is so high profile which means there is more talk about it and it is being talked about in every pub. People are talking about this. It is top of the agenda. It is in everyone’s face. Everyone is interested and intrigued. Paddy Power also feigned surprise when the advertisement was linked to domestic violence maintaining it was simply a bet on a high profile court case; a case of celebrity misogyny, domestic abuse and murder, which by Paddy Powers unique brand of ethics means it is OK.